The ever-elusive truffle is even more elusive this year due to the lack of a balance between dry and wet weather ideally needed to ensure an optimum season. Below average rainfall has caused higher prices says Michele Boscagli, president of the National Association of Truffle Towns. There’s nothing quite like the distinct aroma of a truffle, perhaps intense for some, yet divine and exquisite for others. The hard-to-come-by product, normally weighing in from 40 to 200 grams, is especially expensive this year (3000 – 6000 euros per kilo). Its enticing taste, however, nearly always leaves people craving more. 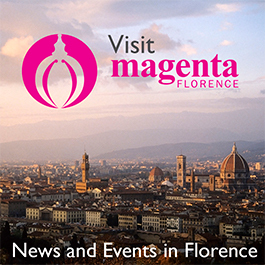 Continuing with tradition, however, the month of November will bring two great festivals to Tuscany. The “Crete Senesi’s Truffle Market” will be held in San Giovanni d’Asso on Saturday and Sunday, November 18 and 19 while the second “San Miniato’s White Truffle Fair” will take place on two weekends; Nov. 18/19 and 25/26. Expect lots of truffle butters, pâtés and spreads also for sale presented on bite-size slices of baguette and nearby restaurants offering signature dishes with truffle shavings. The white truffle found in San Giovanni d’Asso is characterised by a particularly strong aroma, which enhances the flavour. What’s more, the harvest almost always promises fruits of equal size. The white truffles from San Miniato have an external surface that is smooth and glossy. Initially green in colour, it eventually holds hues of light brown and gold upon maturation. The inside, is filled with nutty-brown tones and visible white veins creating a marble effect, is, in itself unmistakable. CRETE SENESI TRUFFLE MARKET. Piazza Antonio Gramsci, 1, San Giovanni d’Asso, Sat. 3 – 8 pm. Sun. 11 am – 6 pm. Free admission. Crete Senesi, the area surrounding the picturesque town of San Giovanni d’Asso, is located within rolling hills and forests where the Tuber Magnatum Pico (white truffles) can be found amongst oak, lime and hazel trees. This year’s event celebrates over 30 years since its debut in 1985 with many chefs and wineries offering samplings. The white truffle will accompany the famous pecorino cheese made from unpasteurised milk, cured meats, extra-virgin olive oil, Val d’Orcia Orcia wine and pork from Cinta Senese (local-bred pigs). All this and more will be offered at the area labeled as ‘Street Food,’ which also offers live music and cocktails to enliven the mood. Included this year on Sun. 19, will be a workshop designed for young children. ‘LabMuseo Bimbi Chef’ is an opportunity for the little ones to get their hands in a cooking experience. Is your child ready to be a chef? Put their curiosity to the test! (11:30 am, entrance fee of €5 applies). A cooking show will also take place on Sun. 19 at 3:30 pm presented by Luca Biancucci, head chef at the Avignonesi Winery in Montepulciano. The show entitled ‘Km 0’, symbolic of the fresh and local produce used, will allow the public to receive advice from a skilled chef and try some delicious dishes cooked on site. Possibly the two most interesting events at the market, the cooking show and workshop will inspire foodies to prepare their own truffle-based meals. A yearly staple is the “Nature Train” departing to and from Grosseto (8:50 am – 5:40 pm Sun. 19). Travelling through the captivating landscape of Val d’Orcia, where one can see views of Monte Amiata, one of Tuscany’s highest peaks, the scenic route will take the visitor all the way to San Giovanni d’Asso for a great family-day outing. The 3hr journey costs €32 for adults and €16 for children, (booking recommended and can be completed here, also includes visit to truffle museum, the castle, and the Church of San Pietro in Villore). For full truffle immersion, families are encouraged to visit the Truffle Museum located in the underground vaults of the medieval castle in San Giovanni d’Asso. The display includes interactive multimedia allowing the visitor to truly immerse all their five senses into the aroma of the truffle (open 10 am – 1 pm & 3 – 6 pm, €4 for adults, €2 for kids). Adding glamour to the event is the “Ferrari Tour,” a chance for those who enjoy life in the fast lane to discover the surrounding areas of Crete Senesi. Those interested can choose between driving the Ferrari California Turbo or the Ferrari 458 Spider. The tour will depart from the Castle of San Giovanni d’Asso every day during the festival from either 10 am or 3 pm (price includes hire of car, Truffle Museum entry fee and a gourmet lunch/dinner). 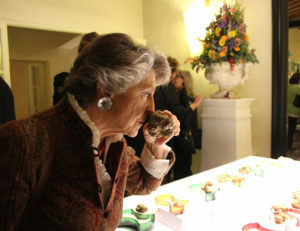 SAN MINIATO’S WHITE TRUFFLE FAIR. 8 am – 8 pm. A shuttle bus runs from the San Miniato-Fucecchio station to Piazza Dante in the historical centre from 6:30 am every half hour on Saturday and every hour beginning at 11:40 pm on Sunday. On Saturday, another shuttle (€3,50) is available on via Fontevivo/Palazzetto dello Sport as well as the Cemetery starting at 2 pm while on Sunday, it will depart from PAM supermarket and the Cemetery starting at 9 am). The market on the weekend of Sat. 18 and Sun. 19 will host food and wine producers from across Europe. Two days will be dedicated to Apolda, a German town located in Thuringia. In September this year, San Miniato became its sister town. Their link however, stems all the way back to the 13th century when the Tuscan city was the official residence of the Holy Roman Empire’s envoys, therefore being named “San Miniato al Tedesco.” Frederick II whilst residing there reinforcing the town’s defenses built a watchtower destroyed in WWII and later rebuilt. Other European towns will also be represented, such as Silly (Belgium) with its chocolate and beer and Villeneuve les Avignon (France) with its wine. Food producers from Italian sister villages will return once again from Salerno, Latina and Ferrara. In two days dedicated to Tuscany’s best cuisine, Nov. 25-26 is the “slow food weekend.” Producers who adhere to this philosophy will promote the importance of healthy eating and what are good quality ingredients.